30,75 € 30,75 € tax incl. NRGkick Adapter CEE 32A 5 pole three phase to single phase 220V domestic socket, also called Schuko - ref. 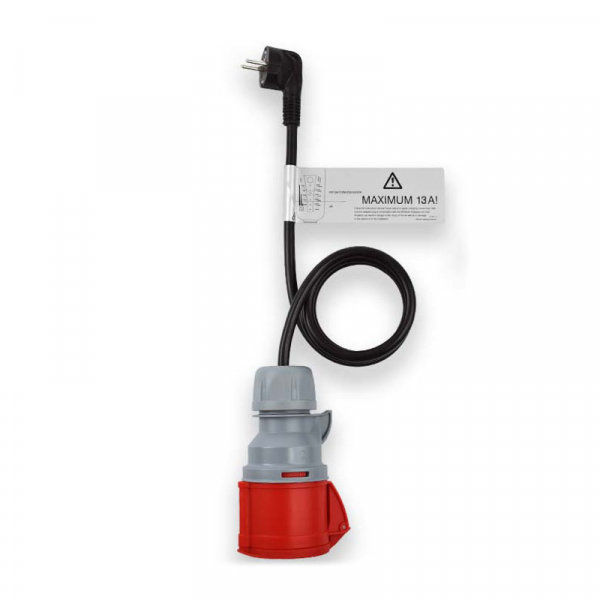 20201 mobile charger 32A - allows you to plug in your mobile charger NRGkick 32A 5-pole three-phase to a domestic socket. The mobile charging station NRG KICK will automatically recognize it is connected to a domestic standard socket. With this adapter, you can recharge your NRGkick a load power 10A or 13A.